This product contains Phytic and Lactic acids. This at-home exfoliating agent gives skin a smoother, brighter appearance. 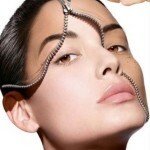 Ideal as an adjunct for patients on Anti-Photo aging and skin tone treatment regimens. The easy-to-apply pad facilitates uniform application to broad skin surfaces. These unique pads can be used on any skin type to promote smoother texture, and improve clarity and brightness. 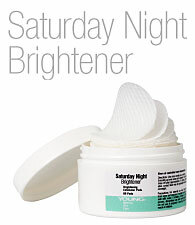 Used as a weekly treatment to help brighten dark spots and even skin color. Now $75 for a limited time only. 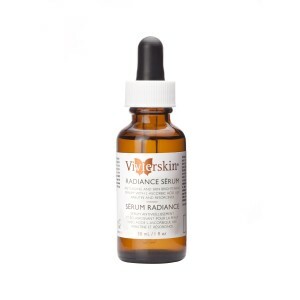 This serum is another Hydroquinone free anti-aging and skin brightening serum for all skin types. This serum in dropper application reverses the appearance of age spots, smoothes fine lines and wrinkles and improves skin tone. Suitable for all skin types this brightening serum has 3 key ingredients. L-ascorbic acid is a powerful antioxidant that boosts collagen production protecting the skin and evening skin texture and tone. It also contains Arbutin, a natural alternative to hydroquinone known for its skin-lightening and antioxidant properties.